It appeared to be a lovely garden, in a city full of such retreats. Better late than never ...... your discovery of Mrs. Emily Whaley. 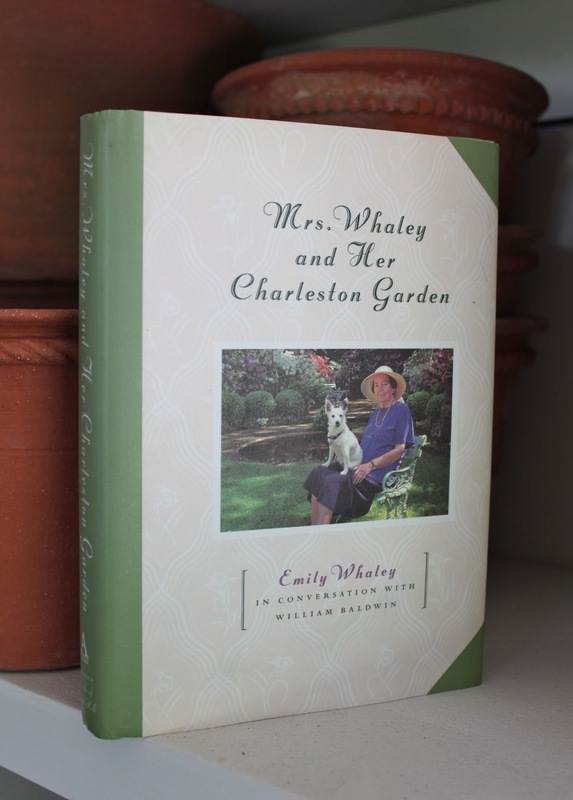 :-) You should also look for a copy of "Mrs. Whaley Entertains" and "Mrs. Whaley's Charleston Kitchen" which includes many great "receipts." Even another great book related to Charleston is "Gardens of Historic Charleston" by James R. Cothran. To this day my husband refers to me as Mrs. Whaley when I dispatch him to work in the yard. Well, indeed, and why not. A wonderful book. Best wishes! Living in the deep South, we often bemoan the passing of these great Southern ladies-eccentric ,stylish, outspoken, determined and what used to be known as "accomplished" - It seems there is no one comming along to replace them- My favorite lady growing up (there were several who stand out) the truly Southern Mrs.Cuthbert Mandell who once told me , in describing a couple who had recently moved to town, "They're the type of people who overdress their children." Reggie, your post sent me running to my bookshelf to revisit Mrs. Whaley. I almost had a heart attack because she was not there! Finally I remembered moving all my gardening books to the kitchen, where, thanks to Jennifer and Judy, I'll make space for her other books when I find them. In the meantime, I'm settling in for a nice read, because it's too hot and humid here to even go out and pull a weed. Sounds utterly delightful. I have several on my list who I think would be delighted to receive this!! Mrs W looks like a really nice woman doesn't she? I love the oval lawn with pond and statue and the way the plants aren't beaten into submission. We love Mrs. Whaley's books! You must make her fried chicken and her chocolate Waldorf cake. Oh my goodness, divine. It is one of my favorite books as well and I have her Entertaining book, too. I loved your post about her. 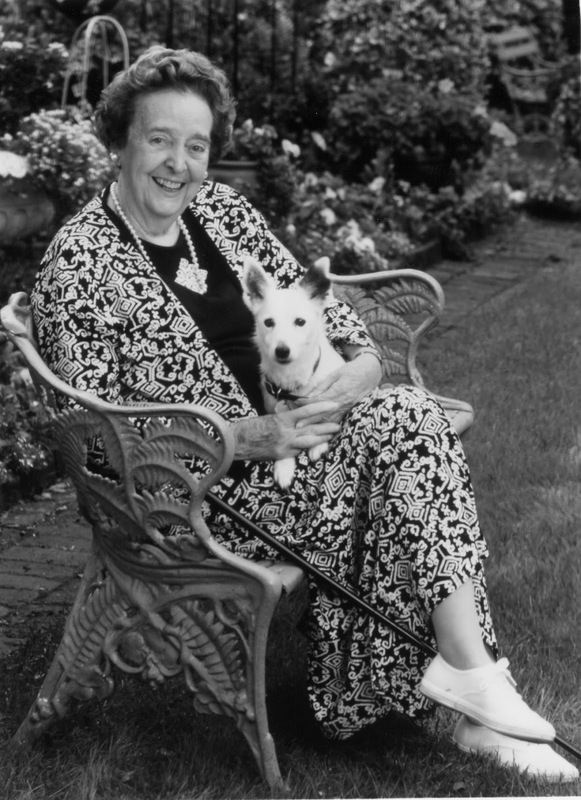 She was a charming and gracious lady -- it's not often we can say that about anyone any more. I "discovered" Mrs. Whaley's book several years ago, and managed to get an autographed copy, which I hold dear. The Mister and I visited Charleston earlier this summer for a few days and stayed in a house on Church Street. During one of our morning walks, we found Mrs. Whaley's former house (I believe one of her daughters lives there now), and we were delighted to discover that her garden is open to the public, announced with a tiny sign on the gate. We let ourselves in, and wandered around in perfect solitude for the better part of an hour. Absolute delight! If you are in Charleston, you must visit! I hope to post about our Charleston trip soon; seeing Mrs. Whaley's garden was definitely a highlight. I own this book. I started reading this book. I must find this book! "They are the type of people who overdress their children>"
Can you imagine those people seeing what we see today??? Reggie, I enjoy reading your blog, especially the entry about how a woman should dress - spot on! I discovered Mrs. Whaley's books while I lived in NC from 1998 until 2004. I also visited her Charleston garden which her daughter, Marty (a self-taught painter/artist whom inherited her mother's home), charges a small fee to visitors. I did ask if I could look at Mrs. Whaley's kitchen and Marty graciously declined. I could have listened to Marty's beautiful accent all day! Do go and visit when you are in Charleston sometime. She sounds like the type of woman my grandmother is, and I would concur - a dying breed. 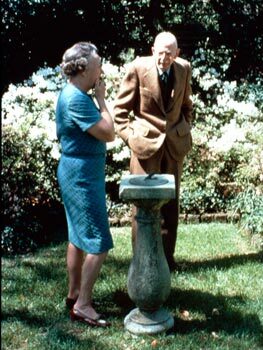 I cannot wait to read more about her and her lovely garden. Thank you for the recommendation. "I am and enormous gadgeteer. Gadgets for me are what liquor is for some people." "Toward the end of his life, Ben was not feeling well at all." "I love fried flounder. Creighton Frampton, who is ninety-two years old, takes me out to lunch if I jog his memory". The ladies and gentlement of that era are rapidly disappearing - and I miss them. I have this book, too! It's excellent and I loved reading it. My two besties are in Charleston this weekend for his 50th, and since he's a chef, I am giving him Charleston Receipts for his birthday. Glad you made it back to Darlington safe & sound. SO happy you weren't here last night. It was a nightmare... a dark & stormy night. Reggie, I adore your blog. I find it humorous, engaging and inspiring. Being a Charleston lover, it was wonderful reading your post and the great comments by your loyal readers. I detect a bit of the southern gentleman in you despite your upbringing in the north. I also love how you can find great celebration in the simplest occasions. I enjoy so much your post on your antique finds and the mini education we get with each of them. Thanks for sharing your life with each of us through blogging. It's been quite an education. And thank you for not pointing out my typing errors. Trying to type with one arm in a cast is more difficult than I expected. I also agree with the above comments about you. Sometimes you remind me so much of the southern gentlemen I knew growing up in (the rapidly disappearing old) Virginia. Blogging can become something of a chore after a year or two but I hope you never entirely quit writing such interesting, informative, and delightful posts. It was my pleasure to send the book to recipients who would understand that there are lessons therein for all of us. Wisdom that transcends gardening. I grew up shrouded in Mrs. Whaleys and I regret the passing of the archetype. OH MY!I read this book about 11 years ago!From this book I got the idea to go to CHARLESTON on the home & garden tour....that just happened this past April!I traveled with three girlfriends.I had forgotten about the book by now and as we were trotting about asked one of my friends to look up MRS.WHALEY and her address as I would love to walk past her home.We did indeed look her up but found no address...just the book.As we went about our last day of touring and our second to last house the friend who had brought the IPAD who I had requested the "look up" from was our leader and said,"next house is MRs. Whaley's!! ".......I replied "GET OUT! "Loved it.Bought the book upon our return home for all three gals so they too could enjoy.And now your post with photos of her!!!!!!!! !THANK YOU! How did I miss this post!!! Mrs Whaley was certainly of a dying breed. I am so fortunate to have a friend who is the Atlanta equivalent of Mrs Whaley; a gardener and 96 years young. She gave me Mrs. Whaley's books years ago. 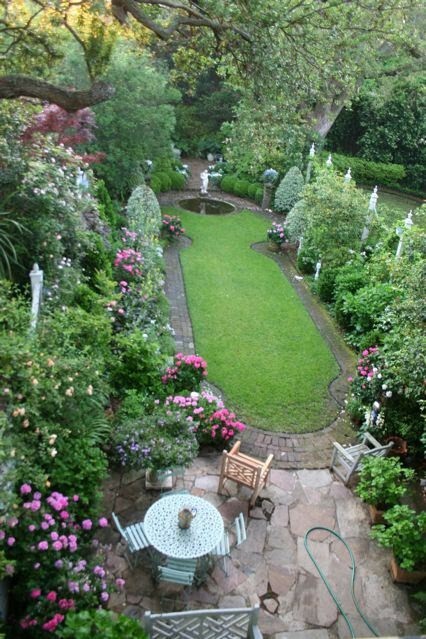 I have visited Mrs Whaley's garden several times but must say it has changed since her daughter took it over. I guess one should expect that. The heart of a garden dies with the gardener. The Historic Charleston Foundation sponsors a house and garden tour every year which I am sure you would enjoy. I agree with the above comments on your Southern Gentlemanly ways and also appreciate your posts. They are many times an education.